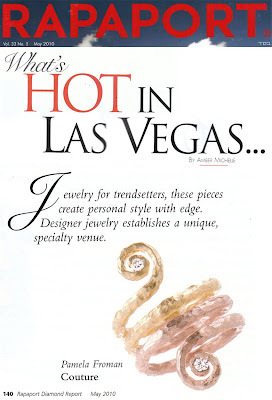 What's Hot in Vegas? 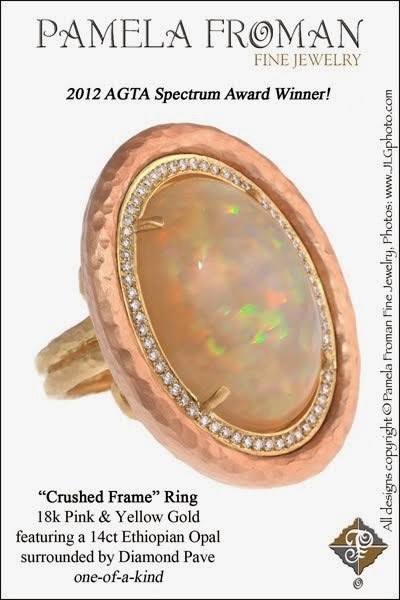 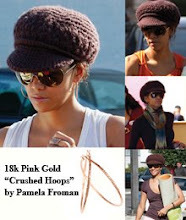 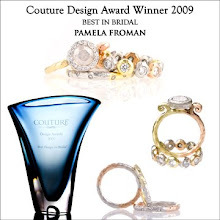 Pamela Froman's Ombre Cleopatra Ring! 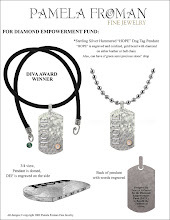 Have you seen the May issue of Rapaport Diamond Report Magazine yet? 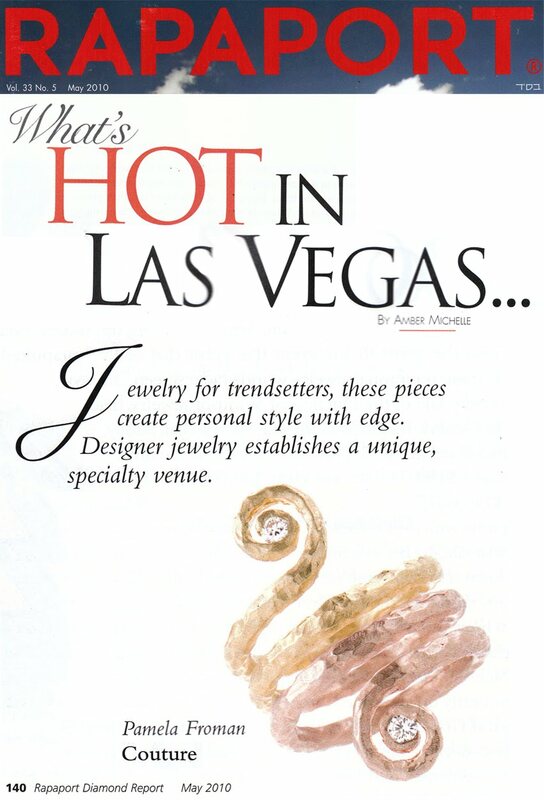 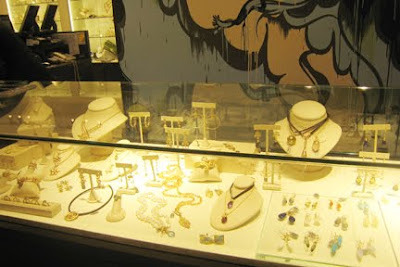 Pamela's "Ombre Cleopatra" Ring is featured in the "What's Hot in Vegas" section! 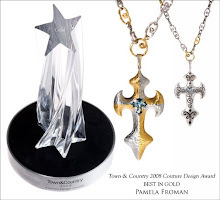 This, and many other unique Pamela Froman creations, will be on display at the upcoming Couture Show in Las Vegas. If you're a retailer who is planning to be in Vegas to check out new lines, be sure to visit us at the Wynn! 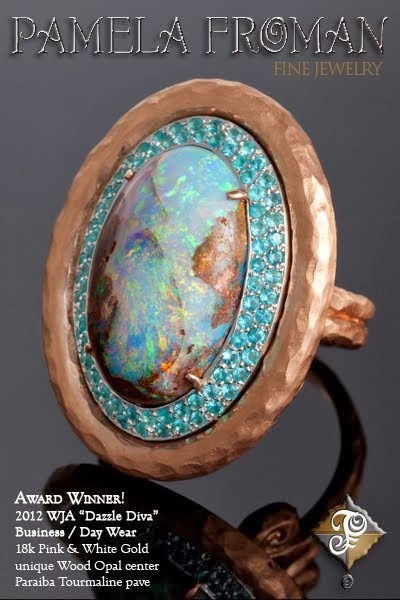 We will be in the Lafite ballroom, in the exciting new NextWave pavilion, booth NW-1; We look forward to seeing you there! 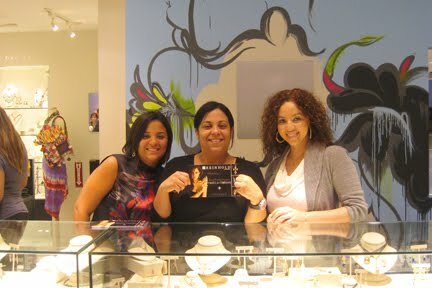 "The Fab Reinhold Girls", Yariza, Ivonne, and Barbie. 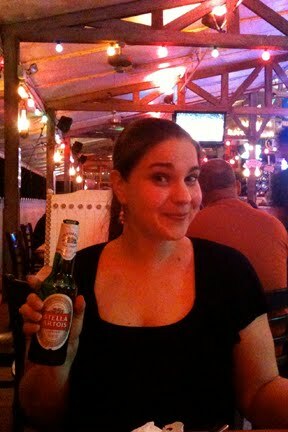 We had a whirlwind trip to Puerto Rico! 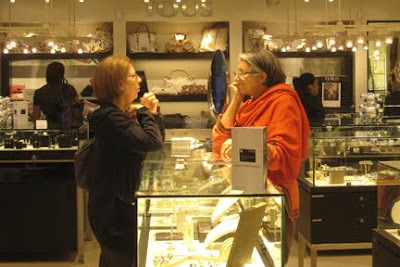 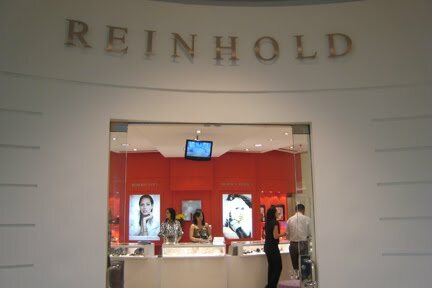 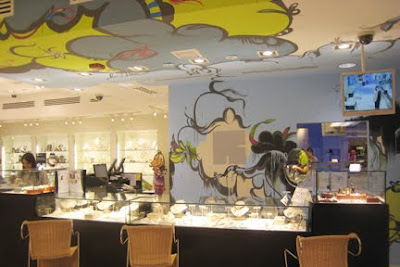 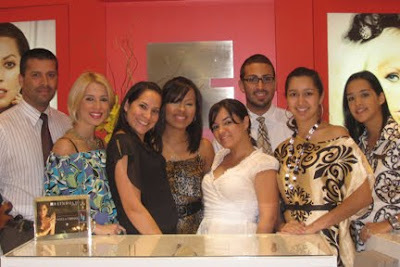 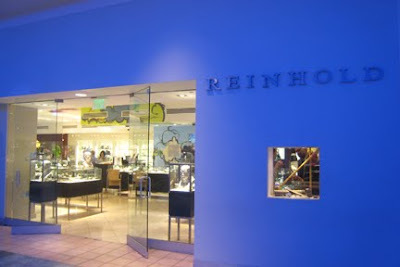 I had a Personal Appearance at Reinhold Jewelers in Plaza las Americas, a Cocktail Party & Trunk Show at the Reinhold Store in the El San Juan Hotel, and then another Personal Appearance at Reinhold in Ponce. I always love meeting the women who collect my work, inspiring new collectors, and spending time with the great girls who sell my work! 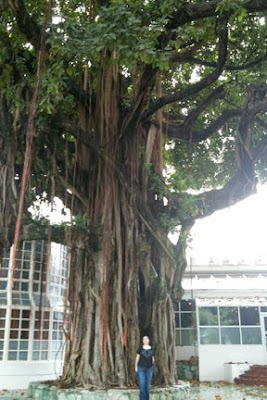 It was a wonderful trip. 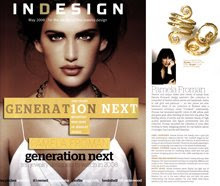 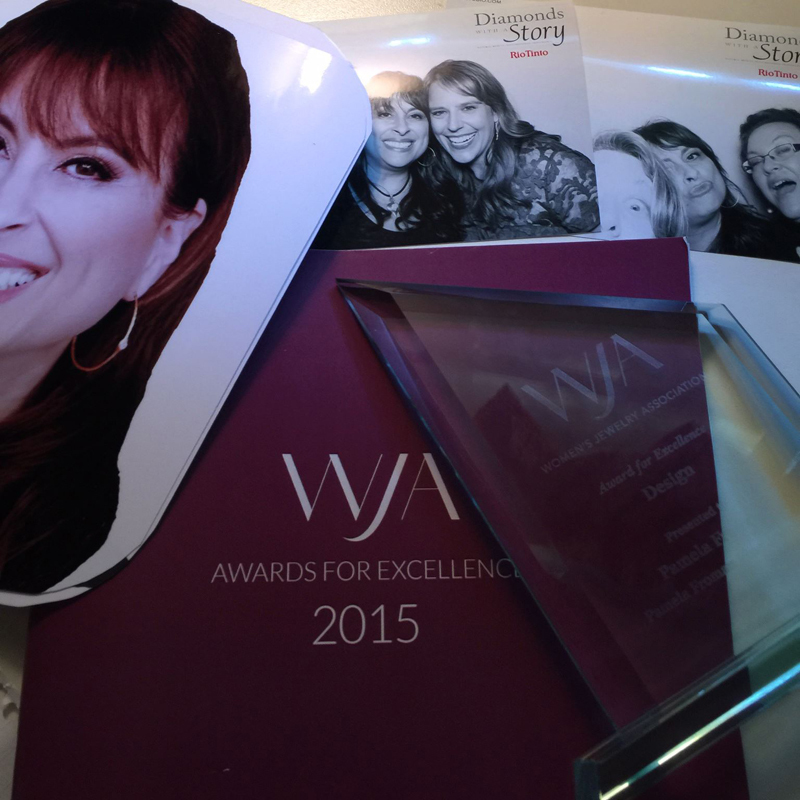 We've been so busy lately, that I forgot to post this great bit of recent press! 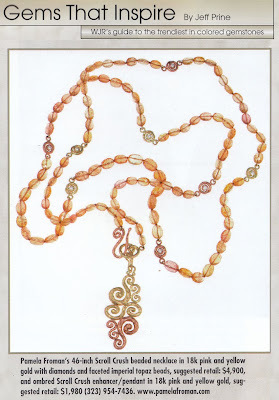 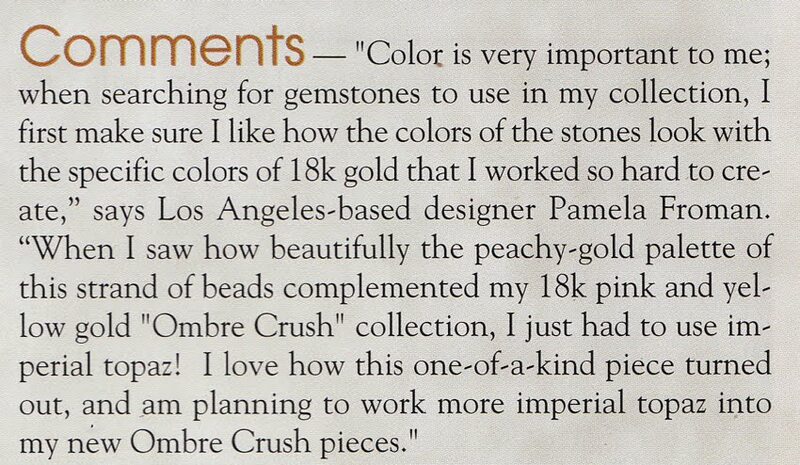 Pamela's super-long "Scroll Crush" Beaded Necklace was used to illustrate this Watch & Jewelry Review story about Imperial Topaz. 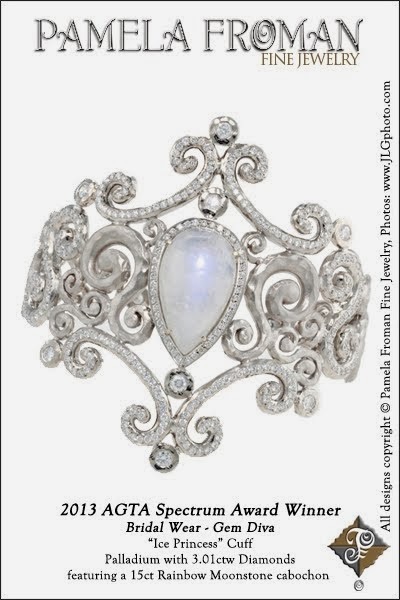 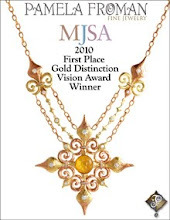 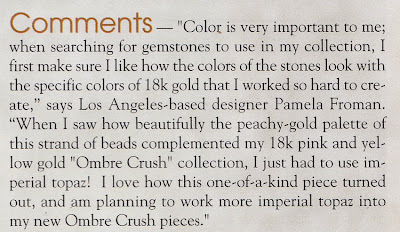 They also quoted Pamela's thoughts about how she uses this beautiful gemstone.